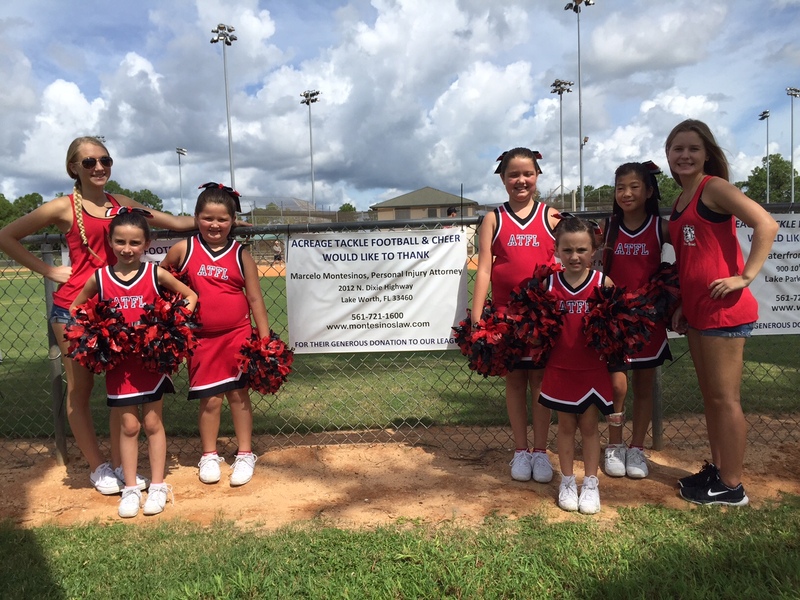 As the 2015 football season was in full swing, I was able to lend a helping hand to the Acreage Tackle Football & Cheerleading Athletic League. As you can imagine, every year the uniforms, pads, and equipment get damaged in some way and require repair or replacement. 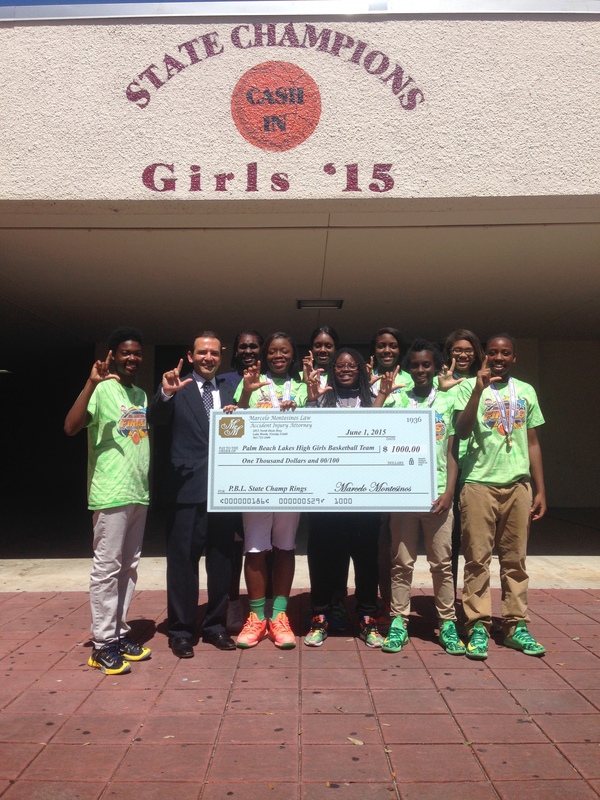 This year it was time to help the Falcons cheerleading squad. I was able to give a gift to these talented girls that contributed to their uniforms and pom-poms. As an advocate for promoting safety and a healthy lifestyle, I am so proud of these wonderful kids who are practicing to the top of their ability and staying active. I hope all of the kids have a great season and have fun while working hard.